The Principal, David Tompkins, established our first branch in Portsmouth with his wife, Alina, in 2007. David was teaching English for over 10 years before establishing the College. Thanks to many satisfied students, we have grown to a multi-branch group called TEG, which has also has branches in Southampton, Bristol and Winchester. We are now one of the largest chains of language schools in the UK. Learning languages is more important than ever in the global economy. 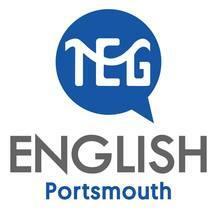 TEG Colleges provide students with a first-class language teaching service at a fair price. We know that you want excellent teaching and quick progress, but also that you want to enjoy yourself while studying. At our language schools, we know that you will have a fantastic studying experience. We encourage social interaction through our regular, fun and varied leisure programme, because we firmly believe that this improves your language learning. You can e-mail, phone or come and see our excellent building for yourself. We know that any of our Colleges will feel like a second home to you.